2K announced Wednesday the Season Pass and downloadable content offerings for WWE 2K18, adding a new competitive level to the highly anticipated WWE video game. The return of The Hardy Boyz, the accelerated track to MyPlayer stardom and a slew of new moves are among the offerings included in the WWE 2K18 DLC packs. Moreover, the WWE 2K18 Season Pass will include access to all of these announced DLC offerings. 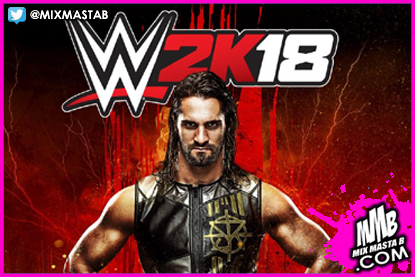 2K confirmed details for five DLC packs, each designed to boost the WWE 2K18 roster, the in-game move sets and playable character attributes. The renowned video game publisher will begin releasing the individual DLC packs in late 2017 for PlayStation 4, Xbox One, Nintendo Switch and PC. Players looking to pick up all of these DLC packs and save a little money can also purchase the WWE 2K18 Season Pass. For only $29.99, Season Pass subscribers can gain access to the DLC offerings listed below as they become available. Players will gain access to all unlockable content available at launch in the game’s VC Purchasable section (excluding downloadable content). Playable WWE Superstars: Matt Hardy and Jeff Hardy. Playable WWE Hall of Famers: Beth Phoenix and The Rock 'n' Roll Express. Explore a wide variety of new in-game moves, including the Tye-Breaker (made popular by Tye Dillinger); the Crash Landing (made popular by Kassius Ohno); the Pumphandle Death Valley Driver (made popular by Akam); and the Swinging Sleeper Slam (made popular by WWE Hall of Famer Diamond Dallas Page). Playable WWE and NXT Superstars: Aleister Black, Drew McIntyre, Elias, Lars Sullivan and Ruby Riot. The NXT Generation Pack will be available for $9.99.